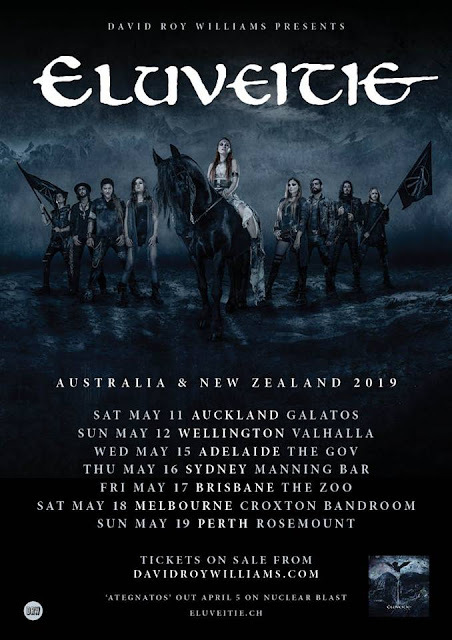 Swiss folk metal band, Eluveitie are in Auckland & Wellington in May 2019. 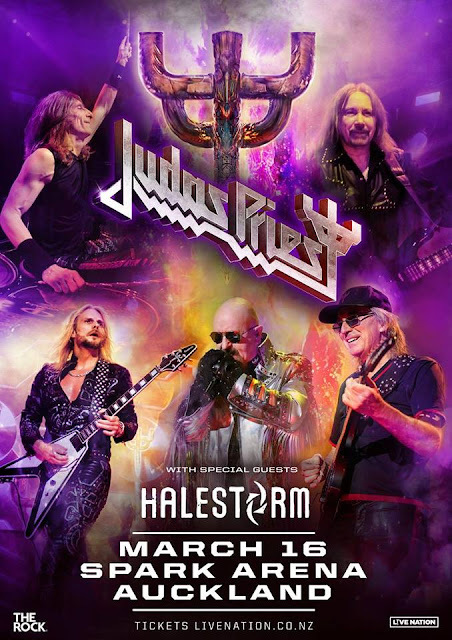 Updated on the Judas Priest show in Auckland, mid March 2019. 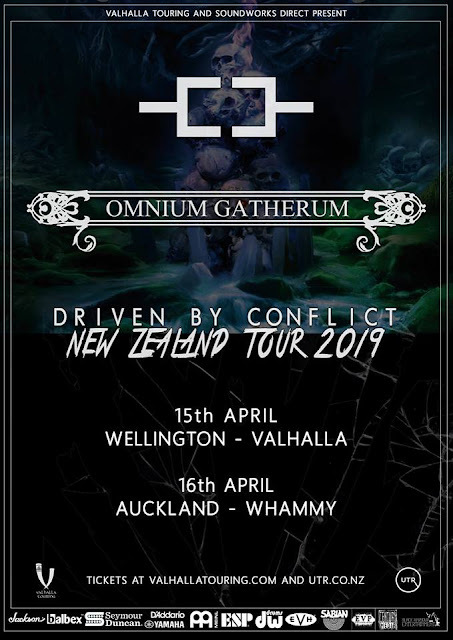 Melodic death metallers, Omnium Gatherum hit up Wellington & Auckland mid-April 2019. 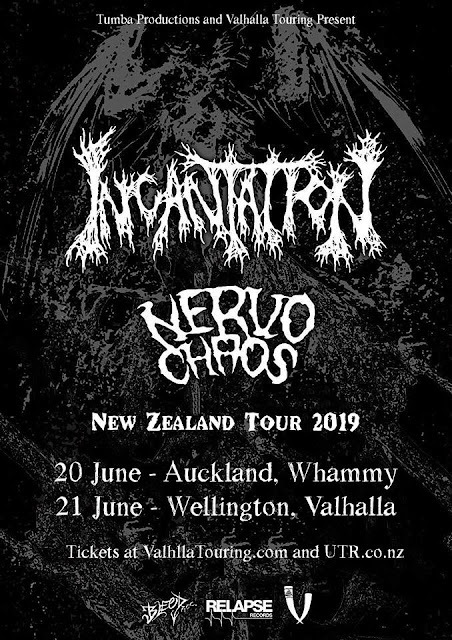 New Jersey (USA) Death Metal monsters Incantation, with Brazilians Nervochaos play Auckland & Wellington in June. 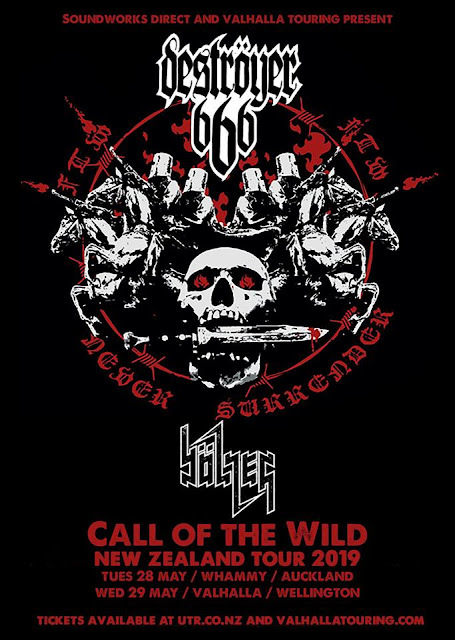 Infamous Extreme Metallers, Destroyer 666 with BÖLZER have shows in Auckland & Wellington at the end of May 2019.